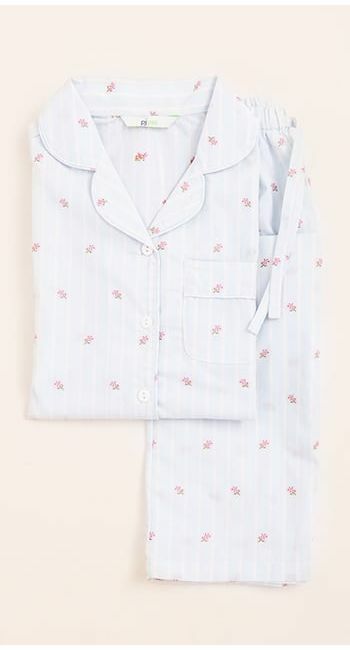 A pretty cotton nightshirt in one of our original and best selling fabrics - a fresh blue stripe with little pink flowers. Available in two lengths. Matching ladies pyjamas and pj shorts available. You'l also find this fabric in the children's collection for those looking for matching mother and daughter nightwear. 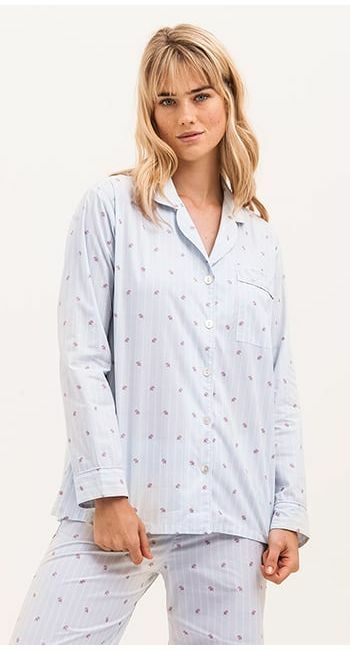 Please note that our nightshirts do come up slightly smaller than our pyjamas so we suggest going up a size (model height 5'8", UK 8 - wearing size S).